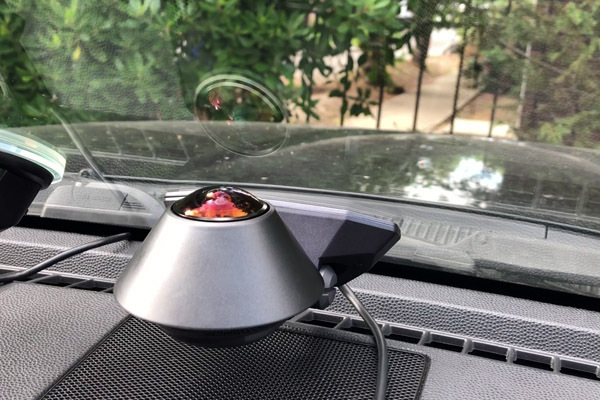 So for the past few weeks I’ve been running the new Waylens Secure360 dashcam. I’m going to start working on my review of the dashcam today and wanted to share a quick clip with you guys comparing it with the budget Viofo A119 and the 4K Blackvue DR900S-2CH from a laser save that I had yesterday thanks to the AntiLaser Priority laser jammer. First up, here’s the Secure360’s front/rear view. I like the 360 degree perspective, plus the fact that you can see me jump in my seat a little when the ALP goes off (haha, the shot was totally unexpected) and you can see me reach to JTK so that’s cool. Video quality itself is pretty bad though and the camera is also extremely susceptible to flare given that the sun hits the lens directly from almost every angle in the sky. I’m expecting a little more from the Secure360, especially compared to what I’m used to with traditional dashcams. For example, here’s the same clip from the $89 Viofo A119. I don’t get the inside view of course, but the quality overall is much better. Finally, here’s the same encounter with my Blackvue DR900S-2CH. (As a bonus, you can also see the Secure360 mounted down low on my windshield.) Obviously the detail and quality is much better on the 4K DR900S (the mount and resultant video footage also seems more solid on the Blackvue, even with the optional vibration-dampening padding installed on the A119’s mount) and the rear cam is aimed out my back window instead of near my RVM pointed inside towards me so I can’t see myself, but I wanted to share the different sample clips with you guys and hear your thoughts on what you prefer and why. Pretty crazy difference, isn’t it? The Secure360’s video quality may not be on par with the competition, but it has a lot of other cool features. Here’s my full review of the dashcam.